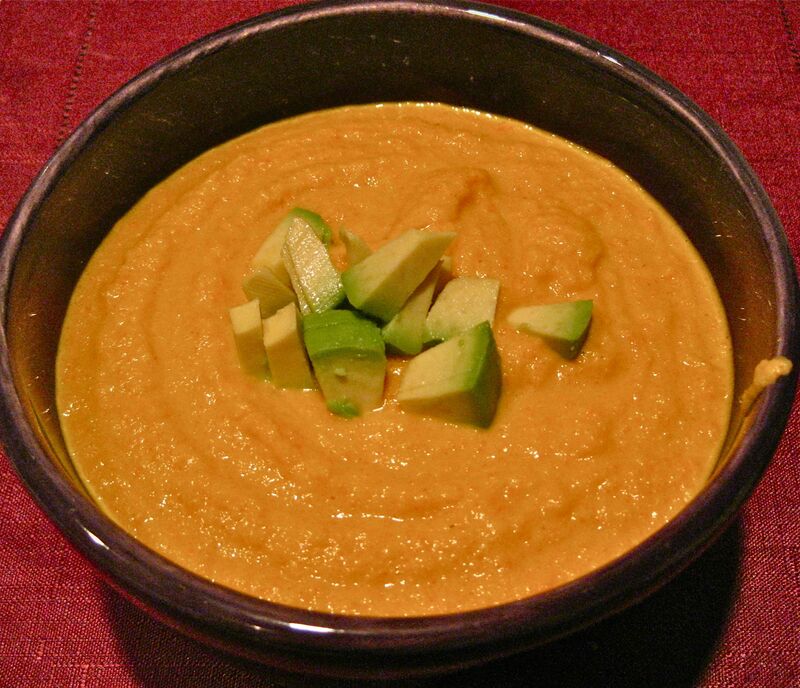 This delicious soup is made entirely of whole foods and makes a delicious side dish. Because it relies so heavily on one root vegetable, I would encourage eating a small cup of this soup with a main dish of lean meat and a green veggie. Toss the carrots with half the coconut oil and half the ginger. Roast at 350 degrees for 1 hour. 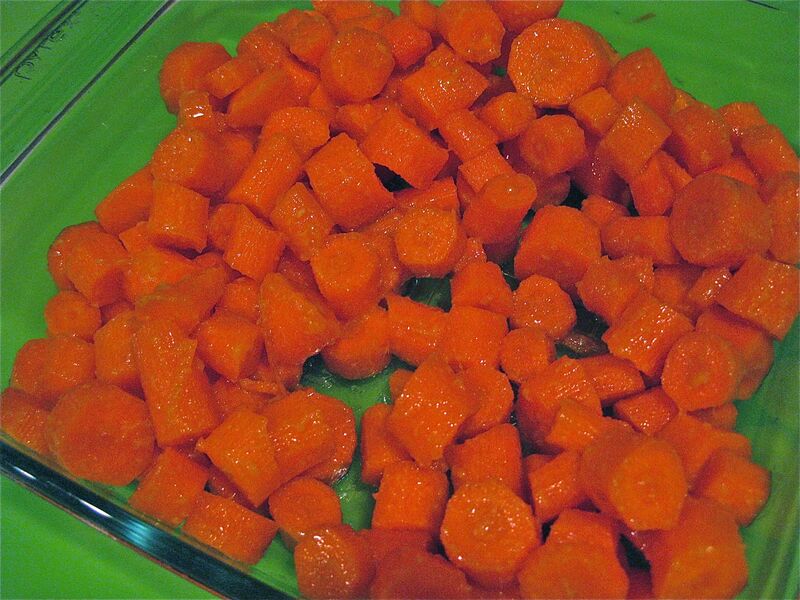 Once carrots are roasted, saute the onion and garlic in the remaining coconut oil for 5 minutes. Add the turmeric and remaining ginger and stird before adding the roasted carrots, broth, and coconut milk. Remove from heat and add by the cup to the blender to liquefy. To reheat, you may want to use a splatter screen. Serving made extra-large to show the pretty. Topped with avocado. « Vegetable Quiche. And Happiness.